This New Year promises to bring more kindness, caring and creativity. A number of my patients, many of whom give to a fault, are resolving to make more time for self-love and healing in this new lunar cycle; as one of my patients said to me, "This year, it's MY turn!" In the spirit of resolutions for better self-care, love and healing, I am offering standalone Reiki treatments and teaching Reiki workshops for anyone who wants to be attuned for, and learn this skill. Reiki is a biofield therapy, like qigong or Healing Touch, which recognizes that the bodyʻs ability to heal requires attention to its integrated physical, emotional, spiritual and energetic systems. A Japanese technique for stress reduction and relaxation which promotes the bodyʻs ability to heal, Reiki roughly translates to life energy (called variously, qi/ki/chi, prana). Reiki works through energetic or vibrational force applied through the laying of hands over the body to clear energy blockages and to balance energy flow. Addressing the bodyʻs energy flow/system can be the key to healing physically, emotionally and/or spiritually. I am motivated to offer standalone Reiki treatments because many of my patients love and respond enthusiastically to its inclusion in my practice. They report its benefits to include deep relaxation, the release of chronic stress and tension and consequent inflammation, better sleep, greater clarity, opening to universal life energy, pain mitigation and healing. 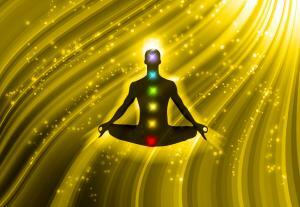 Often, Reiki healing can be experienced as a pleasant warmth/heat and/or tingling sensation through the body. “Dr. Christine is really the best doctor I've ever had. She understands the multiple roots to disease, so there are multiple routes to healing she prescribes. One of these is reiki, which is my favorite! It feels so relaxing, far more than when I smoke marijuana. It feels to me like she is healing me at the cellular level.” Kim, graduate student, 44. Many of you are familiar with my story of burnout, chronic fatigue and its consequent physical, emotional and spiritual effects after years of nonprofit (crisis) management and activism. Reiki was a pathway to healing for me and since my first treatment, I have been an enthusiastic student, teacher and practitioner; it has transformed my life. Reiki healing recognizes that each of us not only has the ability to self-heal, but that we all are a source of energetic healing for ourselves, and for others (all living/energetic beings, including our animal and plant friends). In this way, Reiki can be a modality for social change. While I donʻt suggest Reiki as a substitute for medical treatment (or your holistic practitioners) where necessary, it can be an effective way to practice autonomy over your health and to support the health of your loved ones (like taking on an exercise regimen, or cooking healthy foods for your family, but so much more). In a culture where health treatment is increasingly medicalized and pharmaceutically managed, and where access to healthcare is determined by socioeconomic class and privilege, to see ourselves as sources of self- and community healing is revolutionary. I Reiki myself daily, and frequently send Reiki to friends and family (and sometimes friends of friends/family), in addition to providing Reiki to my patients. Reiki is a gift to yourself that keeps on giving; it allows you to be with your friends and family in a whole new way, and it is a wonderful way to contribute to your loved ones' journeys towards health and wholeness. At Niu Health Chiropractic, I want you to have all that you require to maximize your bodyʻs ability to self-heal. I have been practicing Reiki for over a decade now, first as a recipient, then as a Reiki Master. I look forward to providing standalone Reiki treatments to augment stress release and healing, and attuning and teaching those of you who are interested in learning the art of Reiki. I am continually adding new treatment, dietary, and lifestyle options to the growing menu of questions to "ask" the body. If you haven't been to the office for a while, come in and check it out! I've also added new standalone services to meet my patient's evolving needs: Reiki/Access Bars sessions and Nutrition sessions. See the Bookfresh scheduling website for the latest testimonials and offerings. I slept very well last night. First time in a very long time. I'm looking forward to the next visit. Deliberate attention to my health without feeling rushed or going thru the motions. You are a gift from God Dr. Christine! Mahalo nui loa for your love, dedication, & service to all. Malama pono a me Ke Akua pu! I always look forward to my appointments with Dr. Christine. I not only feel good when I walk out but also learn a lot on each visit.